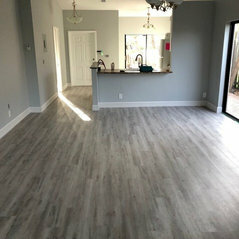 We understand how difficult it can be to find just the right flooring for your home or business, and we are here to help! At Dolphin Carpet & Tile, we can help you choose from luxurious carpets in thousands of colors and patterns or the handcrafted beauty of exotic and domestic hardwoods. We can also help you pick from our diverse styles and designs of intricate patterned tile or our durable laminate flooring. We have ten locations throughout Miami-Dade and Broward Counties with over one million square feet of flooring in stock. Dolphin Carpet & Tile provides so many choices for every room in your home that lets you express your personal style. Dolphin Carpet & Tile is a member of the National Floorcovering Alliance (NFA), the largest buying group in the country with over one billion dollars in sales. Only one tenth of one percent of Floorcovering dealers qualify for this distinction. 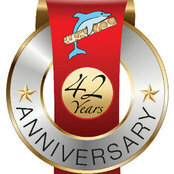 For over forty years, Dolphin Carpet & Tile has been synonymous with quality floor covering in South Florida. Our dedication to customer satisfaction has helped us grow into a market leader. We want all of our customers, past and present, to know that we appreciate their business. As you have come to know, Dolphin Carpet & Tile provides more than outstanding products. We also offer superior professional sales assistance and installation services. Commented: CarpetHi! Thank you so much for your interest! Sorry, this seems to have been overlooked! We believe that is Costa and is available in 24 different colors!